Emma R. McAlpin encloses a check to fund a boy's scholarship in memory of her father, William Rockefeller. 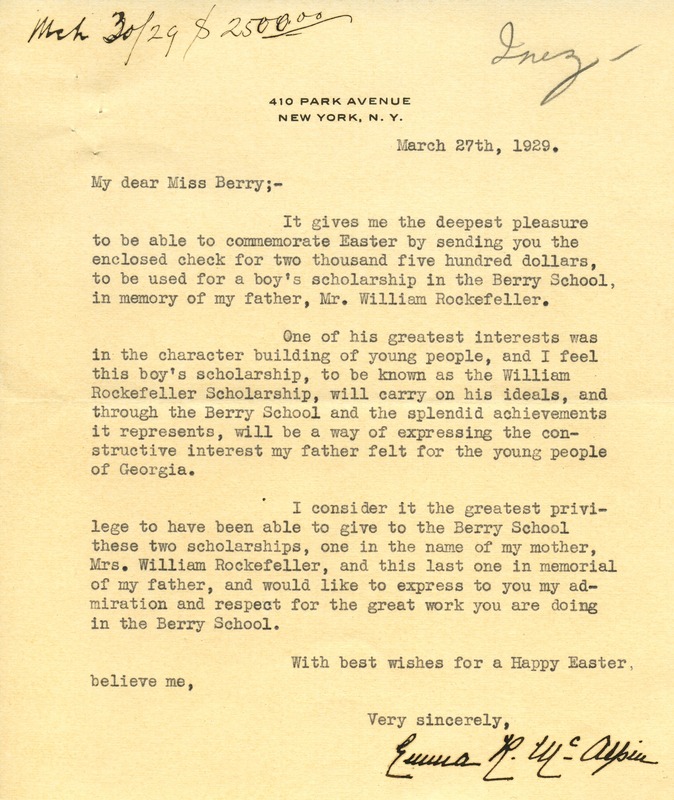 Emma R. McAlpin, “Letter from Emma Rockefeller McAlpin to Martha Berry.” Martha Berry Digital Archive. Eds. Schlitz, Stephanie A., Sherre Harrington, et al. Mount Berry: Berry College, 2012. accessed April 24, 2019, https://mbda.berry.edu/items/show/10545.